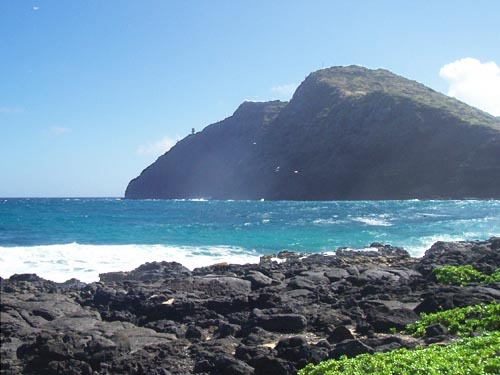 At the easternmost tip of the Island of O'ahu stands Makapu'u Point Lighthouse. Commissioned in 1909, the lighthouse sits 395 feet above the water. Its huge 12-foot tall lens was the most powerful and largest lens ever built and used in America. Looking southeast across Waimanalo Bay, I took this photo the day before my hike. This page was last updated February 13, 2007.